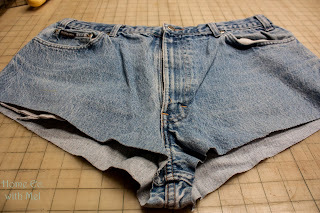 So can you recycle jeans for quilting and sewing? You bet you can! Repurposing items is a hot trend right now. 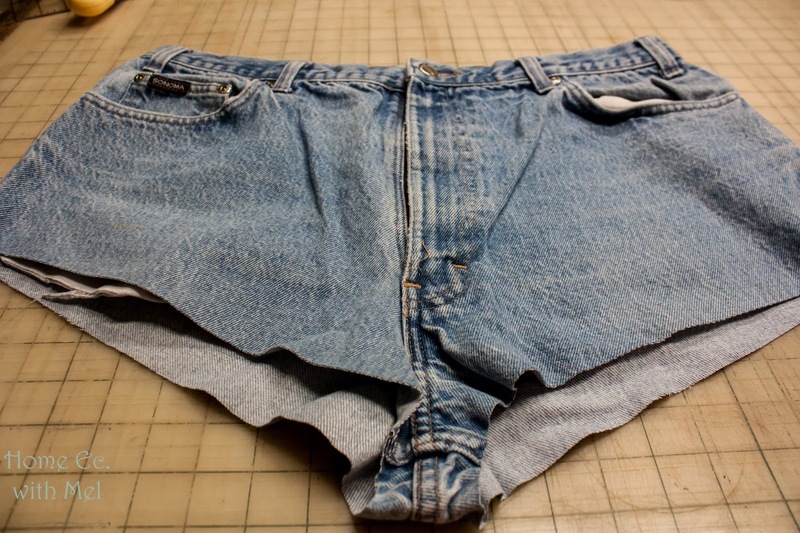 Quilters have been repurposing things for years. Quilters used feed sacks, the good portions of worn out clothing, and more. 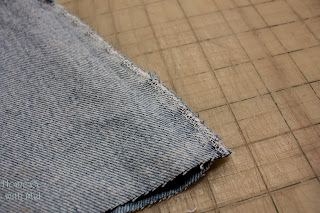 Denim quilts are fabulous to have. They put up with just about anything. 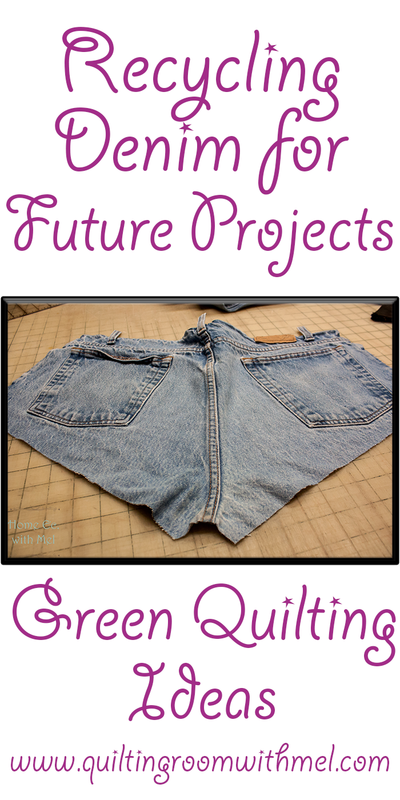 Think about what a pair of jeans will put up with and how long they last? There's no reason to head to the store to buy new denim by the yard. I bet your family has enough jeans laying around that can be recycled to make several quilting and sewing projects. Paul is hard on a pair of jeans. He will wear the knees out long before any other part of the jeans are worn out. I started stockpiling them for future projects. He ended up using them before I did. He made a denim quilt as his first quilt. Before we start cutting up our jeans I have a few tips about dealing with denim. So that's pretty easy, right? So gather up all those jeans that don't fit, have worn out knees, and have a stain or two, and let's get to recycling some jeans. 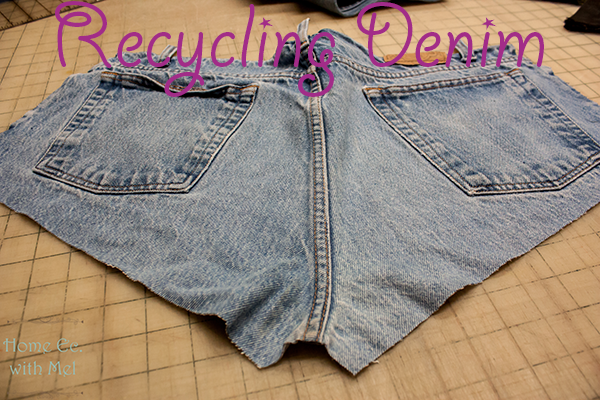 Also, don't forget to check garage sales and let your friends and extended family know you are recycling jeans. We are going to start by removing the legs and dealing with the top portion of the jeans. I just whack the legs off using my rotary cutter. After I just the legs off I put the rotary cutter away. I go as close to the crotch seam as I can get and angle the cut slightly. I'm just trying to get the most fabric possible. See the seam there for the crotch? Cut that out. We don't need it and frankly if they aren't jeans from my family it kinda grosses me out. At this point, I turn the jeans inside out and work that way. We start by cutting out the side seam up to the waistband. Follow the waistband on the back side of the jeans to the next hip seam. Just cut through the belt loops. Cut down the next hip seam to separate the front from the back. 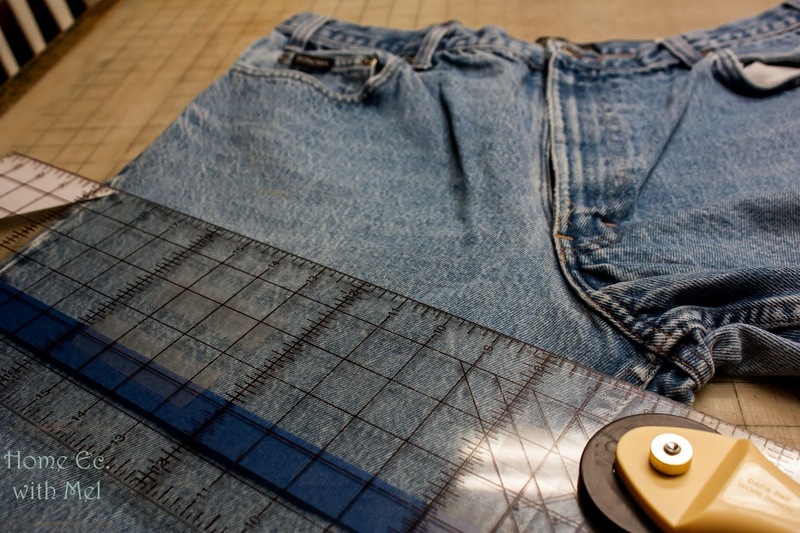 If you jeans have a label on your jeans you can either cut through it or around it. It's your choice. That's what we should have now. Now we need to get rid of that zipper. Cut right by the zipper on the jeans side not on the zipper side. Now, we need to get rid of the pockets. If your jeans have rivets be careful you don't want to damage your scissors. 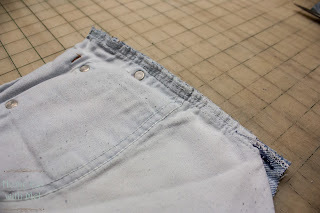 Cut off the seam. Now flip over to the right side of the fabric. 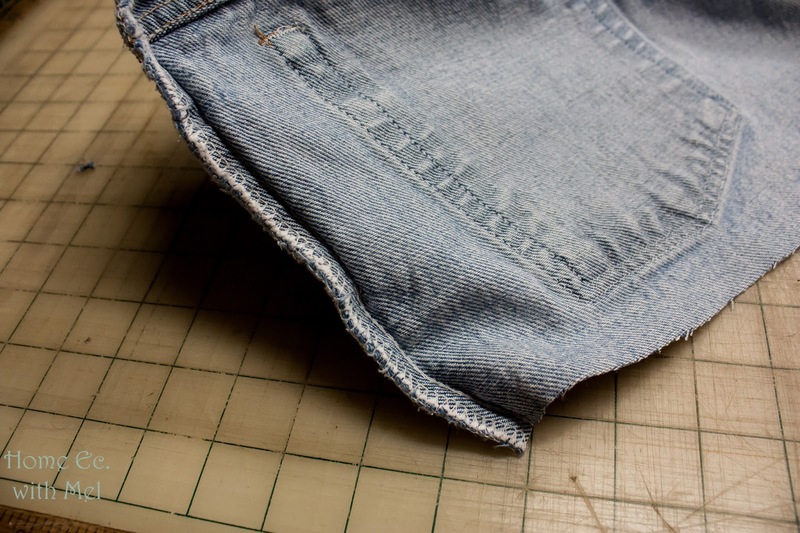 You may have noticed that your pocket didn't come out when you cut the seam off. That's because it's attached to the front too. We need to just the top stitching off. 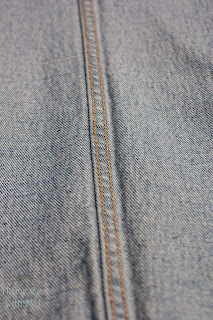 Follow the bottom edge of stitching around. Repeat the last two steps with the other side. We now have to deal with the legs. This is where we will get the bulk of our fabric. This goes fairly quickly. We need to get rid of the hem. You can see the small notch I made to get to the leg. 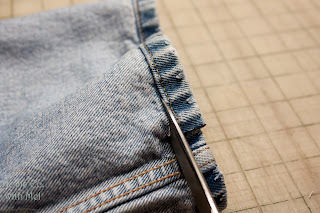 It is easier to cut on the pant leg because it is thinner than the hem. This is a flat felled seam. It is super strong but it we don't want to sew over it so it has to go. 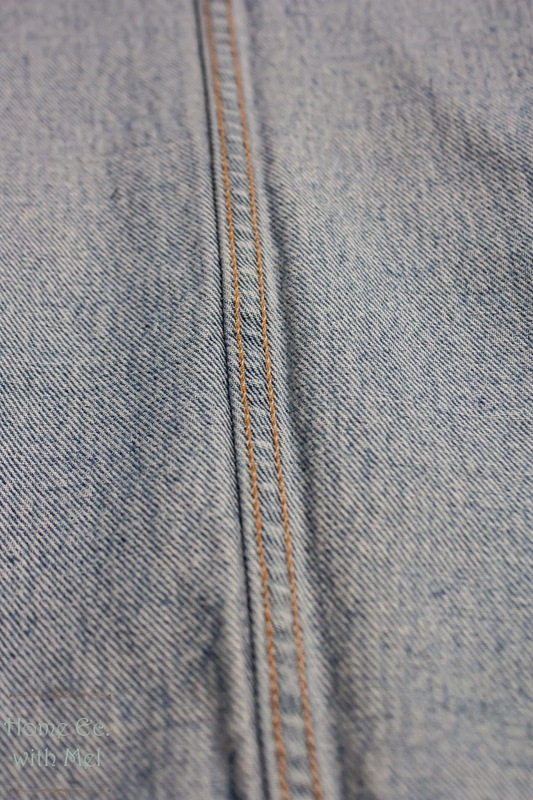 Cut on both side of the seam. There's a nice groove for your scissors to follow. The last thing we do is cut the outside seam off. Just following the stitching. Repeat with the other leg. That's it!! 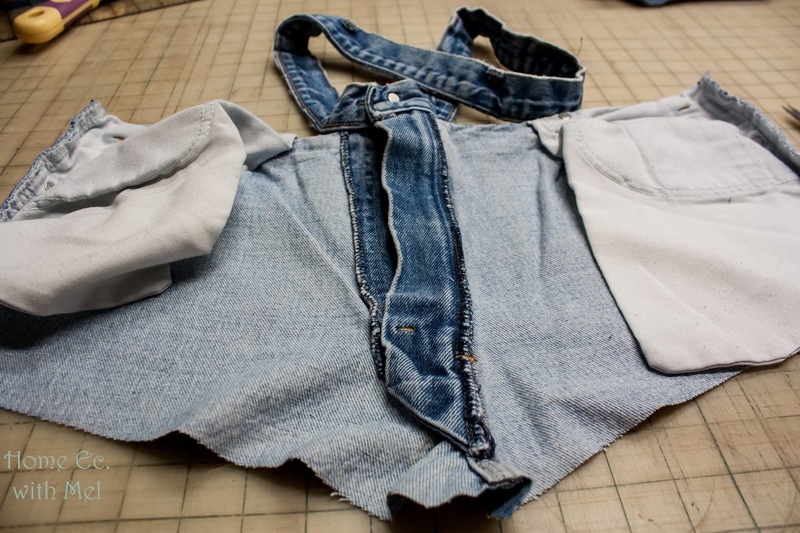 Even kid jeans will give you a lot of fabric to work with here. 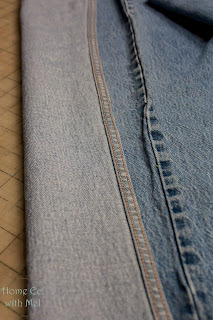 I have a box full of denim, I need to pull it out and make another denim quilt. 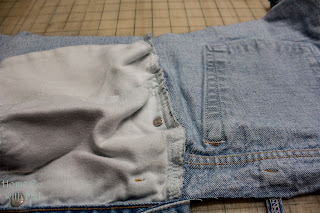 I love upcycling jeans... so much. I have been staring longingly at the ripped jeans my husband is still wearing and I keep hinting, "Sooooo when are you going to stop wearing those..."